Dia de los Meurtos is tradition that has been around for centuries, and has been celebrated in a variety of ways. A Mexican holiday celebrated throughout Mexico and around the world in other cultures. The holiday focuses on gatherings of family and friends to pray for and remember friends and family members who have died. It is particularly celebrated in Mexico where the day is a bank holiday. Traditions connected with the holiday include building private altars called ofrendas, honoring the deceased using sugar skulls, marigolds, and the favorite foods and beverages of the departed, and visiting graves with these as gifts. 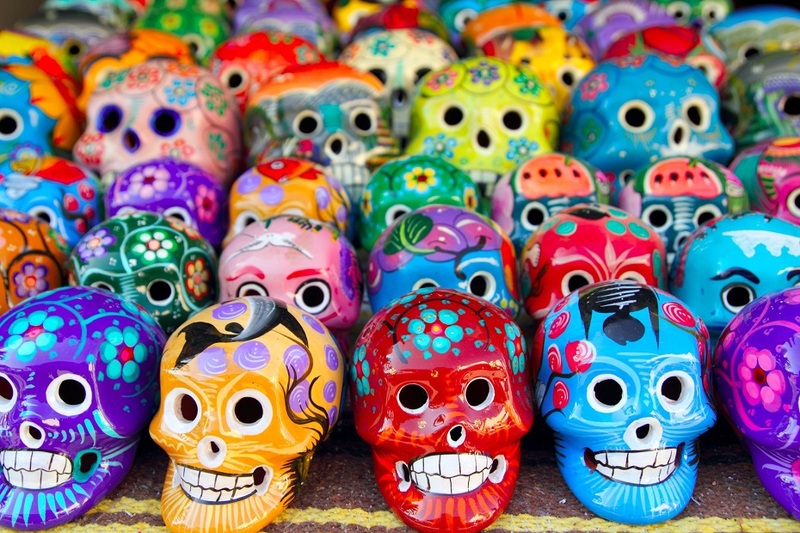 Markets and shops throughout Mexico sell toys and candy in the form of macabre symbols such as skeletons, coffins, and the personification of death ( La Muerta) in the lead up to All Souls’ Day. Candles, paper wreaths and seasonal flowers are also sold. Many families have special gatherings at cemeteries to honor the Day of the Dead. Cemetery graves are decorated with candles, wreaths, floral arrangements, and colorful paper streamers. Events on the day include parties featuring a variety of popular Mexican dishes and drinks. Altars are set up in homes to honor dead relatives. These are adorned with food and drinks (ofrendas), photos, candles, flowers, and candy skulls inscribed with the name of the deceased. Incense sticks are lit to help the departed find their way. 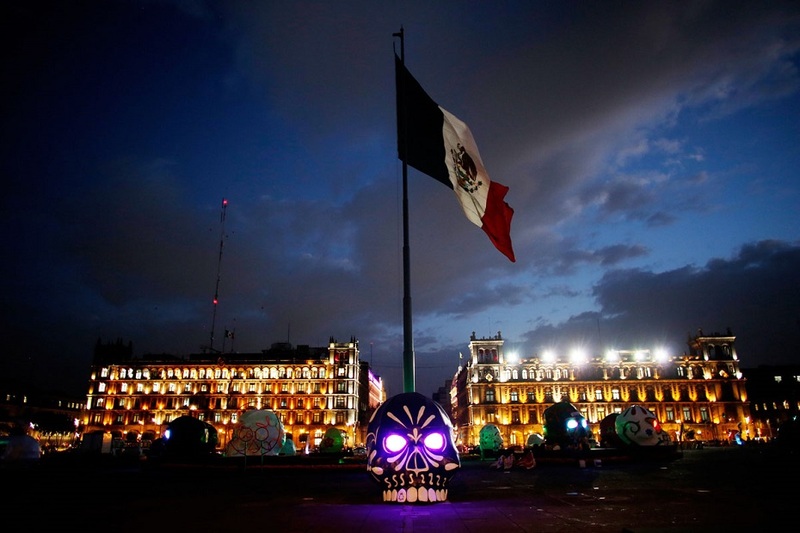 In 2016 Mexico City has hosted its first ever parade for the annual Day of the Dead festival, complete with floats, giant skeleton marionettes – and all inspired by the latest James Bond movie. Tens of thousands gathered to witness the magic of a phalanx of Aztec warriors on roller skates and over 1,000 actors, dancers and costumed acrobats performing tricks.